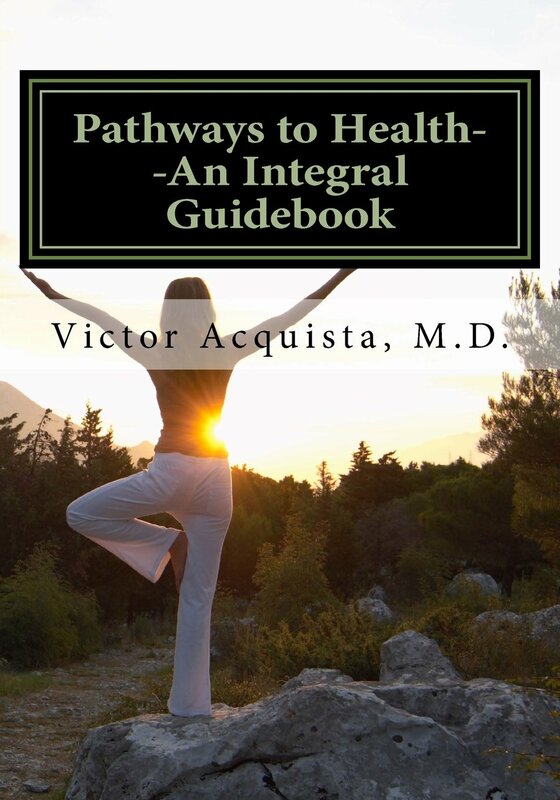 Dr. Victor Acquista, MD – What is Integral Health? People often ask me about what exactly Integral Health means. There is often confusion about “Integral” and “Integrative”. In this column I’ll offer some explanation and provide information about an “Integral Life Practice”. Everyone wants to be healthy, but what does that mean? The standard Western conceptualizations about health rely on a disease model. In this model, the presence or absence of disease becomes the measure of an individual’s health. Yet, people often do not feel well even though they have not been diagnosed with a particular ailment. Furthermore, the full experience of illness is not captured in the label of a diagnosis. When we focus simply on treating a disease, we tend to ignore social, cultural, emotional, and spiritual aspects of the illness experience. It’s much easier to treat a diagnosis than it is to treat a unique human being. Notwithstanding the many excellent treatments modern medicine has to offer, as long as the concept of health is rooted in diagnosing or ruling out a particular disease, traditional medicine will not satisfy. Conventional Western or Allopathic medicine relies too heavily on physical signs and symptoms of illness. Fragmentation exists in and among various medical disciplines and results in a failure to appreciate patients in a holistic way. Although alternative, complementary and integrative approaches to treatment attempt to be more holistic, their approach is usually based on a narrow focus of expertise or training bias. Essentially, all of these partial approaches do not have the answers to health and frequently aren’t even asking the right set of questions. 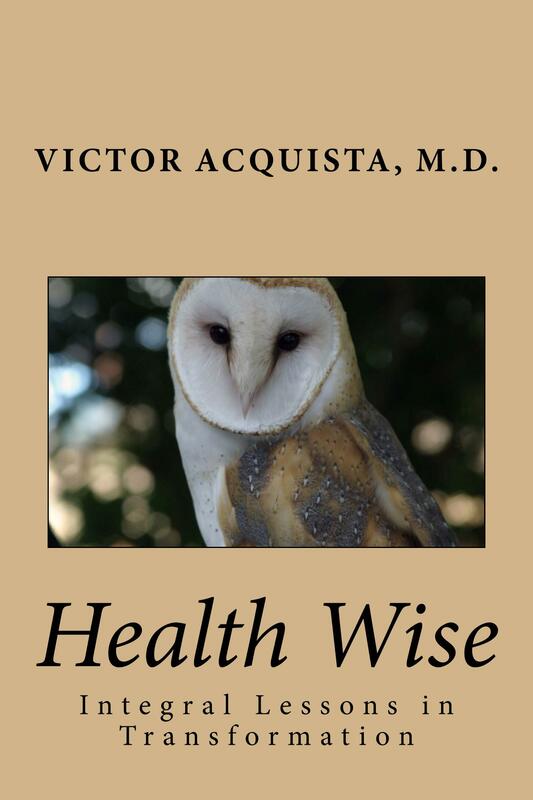 The typical approach to diagnosis in Western medicine is highly reductionistic, taking a primarily physical set of signs and symptoms (the information) and reducing them to a diagnosis. Much is lost in this process of scientific reductionism. 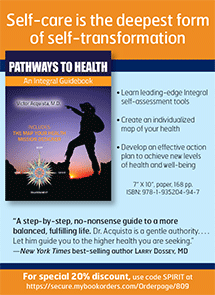 Holistic approaches incorporate broad elements of mind, body, and spirit. They tend to be more focused on treatment and less focused on assessment. We can think of reductionism as focusing on the trees and holism as focusing on the forest. Integral represents the synthesis of these two approaches. 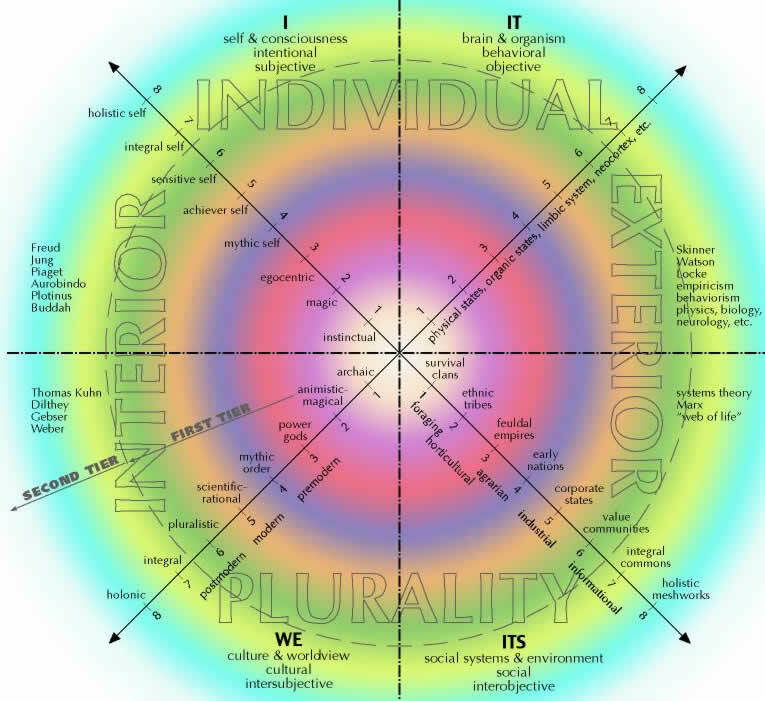 Integral recognizes the parts and the whole as well as the unique inter and intra relationships that exist among the individual components and the entire system. As such, an Integral approach seeks the complete and thorough knowledge represented in dia-gnosis. 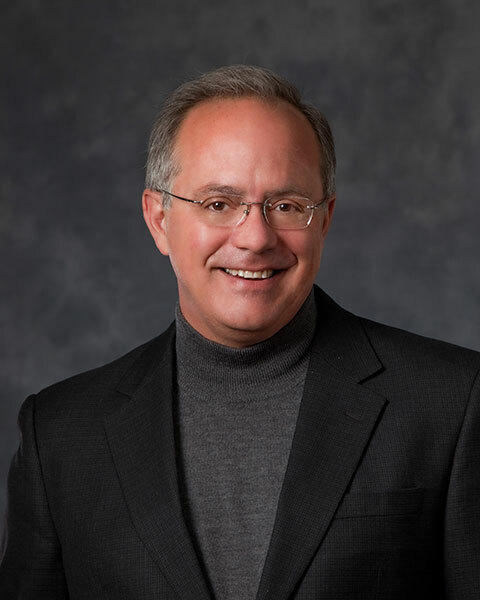 Integrative care is the latest iteration in the progression from incorporating alternative and complementary approaches to medical care (CAM). Essentially, modern medical approaches are based upon the world view of Modernity which relies on the scientific method. Holistic approaches are based upon pre-modern and post-modern world views which are not philosophically grounded in the scientific method. Integrative care attempts to add or utilize these holistic therapies on top of traditional medical care. These additions may offer approaches and modalities which go beyond the scope of traditional modern medical care. In a sense, modern medical care (which is highly reductionistic), incorporates these holistic approaches on top of what is traditionally offered. If we consider the change from a carburetor to a fuel injector as a type of improvement; in Integral Theory, this is a good illustration of “horizontal evolution”. However, by contrast, the change from horse and buggy to automobile represents vertical evolution. Integral approaches represent vertical evolution in health care. They are a synthesis of the thesis and antithesis represented by holistic and reductionistic approaches to health and wellness. While Integrative represents an advance, it falls in the category of horizontal evolution. Integral is true vertical evolution because it takes the truths inherent in both holistic and reductionistic approaches and brings them into a coherent whole person-centered approach to care. What is an Integral Life Practice? In the words of Ken Wilber, one of the founders of the Integral movement, “Integral Life Practice is a new approach to well-being, awareness, and transformation.” The major areas of an Integral Life Practice (ILP) are to work on fitness at four particular areas—body, mind, spirit, and shadow. While many of us are, not doubt, familiar with fitness concepts that relate to body, mind, and spirit, this fourth element of “shadow” needs further explanation. We all have disowned or dissociated parts of out psyche. These represent psychological traumas, repressed or suppressed parts of ourselves, our damaged self. Shadow work helps us to examine and identify these or ourselves so that we can heal them. In this sense, shadow work represents an important way to achieve better health. The fundamental idea behind ILP is that simultaneous efforts in all of these four areas of health act to cross train and enhance our well-being in ways that singular efforts cannot. An ILP is an excellent way to pursue health in a more holistic way. If we step back and look at health in a comprehensive manner, we begin to understand that simplistic approaches such as starting an exercise routine or taking a supplement are unlikely to lead to the results we desire. Having an Integral perspective of forest and trees and developing a true ILP affords the best opportunity to get healthy in the full and whole sense of the word. If you really want to get healthy in the full sense of the word, I recommend you embrace a true Integral approach.